As usual just lately, it’s a rough turn into the week for gold prices. Gold prices fell the most in six weeks as the dollar’s climb and slumping energy costs reduced demand for the precious metal as a hedge against inflation. Silver also declined. So I thought we’d take a look at platinum prices. South African investment bank and asset manager Investec is now cuttingt its 2009 and 2010 price forecasts for platinum, palladium and rhodium, citing a downturn in demand from industrial users such as carmakers. 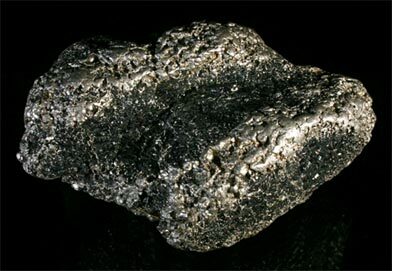 “The platinum price has rallied in the last few weeks, but a weak rhodium price and strengthening rand mean the platinum group metal basket price remains low and a number of mines are still losing money,” said Investec analyst Rebecca O’Dwyer in a research note. Platinum is one of the most valued of the precious metals, more costly than gold and more difficult for jewelers to work with because of its hardness. Investec now sees platinum prices at $970 an ounce in 2009 and $1,350 an ounce in 2010, down from previous forecasts of $1,350 and $1,675 an ounce respectively. That’s still a solid return on an investment. And if you can wear it on your finger, so much the better. The problem for some of us will be ever getting this gorgeous metal away from us again to cash in on the investment. By the way, the long-term forecasts for platinum remain unchanged. And spot platinum is being quoted at $988/993 an ounce today, against $990.50 late in New York on Thursday. Interesting post. As a jeweler who sells platinum jewelry, I’ve been watching the price of platinum almost religiously to see how it will effect our platinum pricing and sales. It’s good to have a forecast into the near term. Platinum prices at $1,350 for 2010 is still quite a bargain, as I remember only recently in Q1 2008 we were pricing our platinum at $2,500 per ounce to cover fluctuations in the market. We’ve priced our jewelry much lower now of course to meet the shifting platinum market. « Can Titanium Rings Get Scratched?